After ISIS, Can Iraq Get Reconstruction Right This Time? 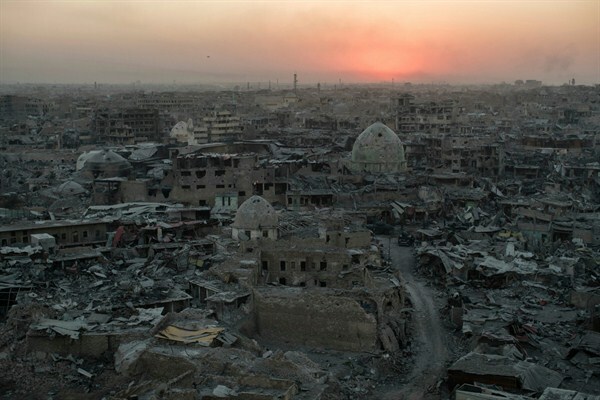 The sun sets on the historic and largely destroyed Old City on the west side of Mosul, Iraq, July 11, 2017 (AP photo by Felipe Dana). On July 9, Iraqi Prime Minister Haider al-Abadi’s long-awaited announcement finally came: The self-proclaimed Islamic State’s occupation of Mosul, Iraq’s second-largest city, was over. In its wake, the Islamic State left thousands dead, and victory in Mosul, after perhaps the worst urban warfare this century, looked more like devastation. Over a million people were displaced.